Vancouver is a beautiful city, but it is also known as one of the most expensive cities in North America. Fortunately, going on a date with your special someone doesn’t have to break the bank. Check out these fun free and cheap date ideas for Vancouver couples. 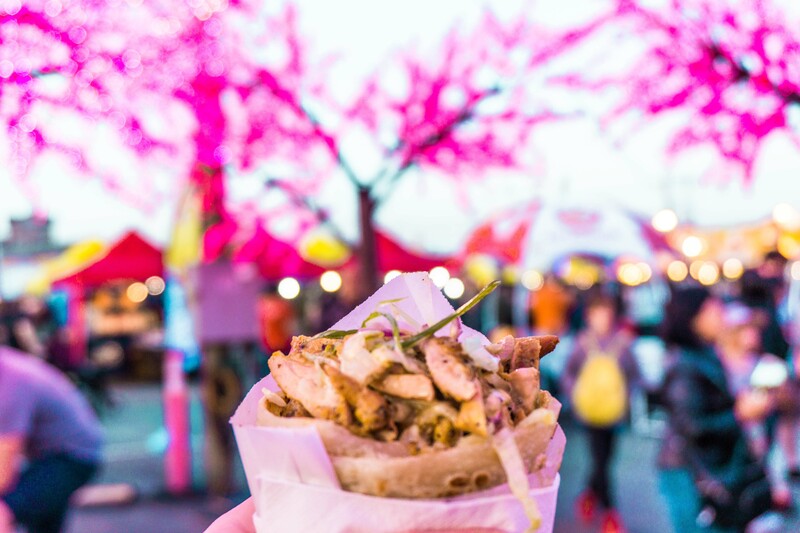 In the summer, there are two excellent street food night markets that pop up in the Greater Vancouver Area. Firstly, there’s the Richmond Night Market, which also happens to be North America’s largest night market. With over 500 food choices and 200 retail stalls, it’s a great place to spend date night. 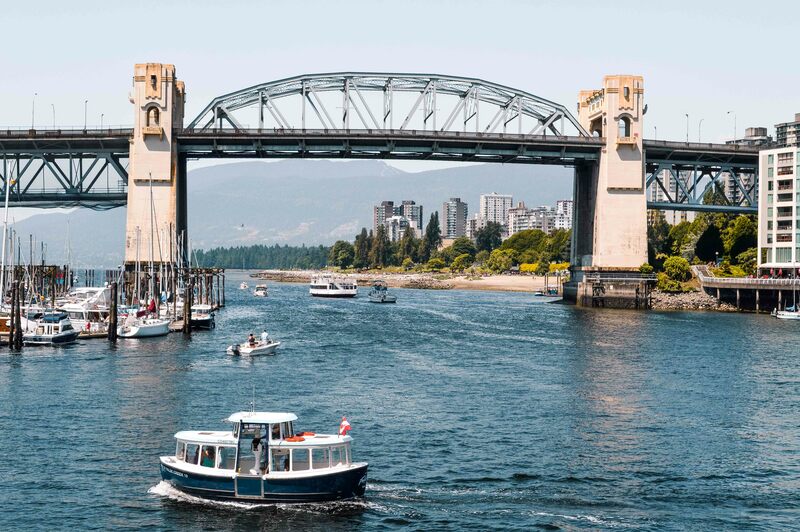 Alternatively, catch the Seabus on a Friday night to the Shipyards Night Market in North Vancouver, which has live music, a beer garden, a marketplace, and at least 35 local food trucks every week. Vancouver is known for its many independent craft breweries. Lovebirds will find them across the city—from Mount Pleasant to East Vancouver to Granville Island to Port Moody. The great thing is that a flight of beers or a glass is very inexpensive. Many breweries also have food trucks frequently parked outside, which is a cheap meal to accompany your cheap beer. Head out to Port Moody and check out Brewers Row, where there are four breweries along Murray Street. Begin at Moody Ales and end at Twin Sails. Granville Island is a great place to spend a day or evening date. Begin at the Granville Island Public Market, and enjoy a homemade treat while admiring the island’s impressive views. Then there’s the option of heading to Granville Island Brewery or going for a walk. From Granville Island, you can walk east towards Olympic Village, or head west to Kits Beach. The latter is a good option at sunset. For the creative couple, a visit to Vancouver Art Gallery doesn’t have to cost a lot of money. Like many museums around the world, the gallery offers a discount on Tuesday evenings. From 5 to 9 pm, people can visit the gallery by donation, which means you can pay what you want. Current exhibitions include Claude Monet’s Secret Garden (ending October 1, 2017), and Emily Carr: Into the Forest (ending December 3, 2017). The Gallery Cafe is also known for its cheap, but delicious meals. For the fitness-loving and adventurous couple, Vancouver is the best city for an active date, as it is a hiker’s paradise. 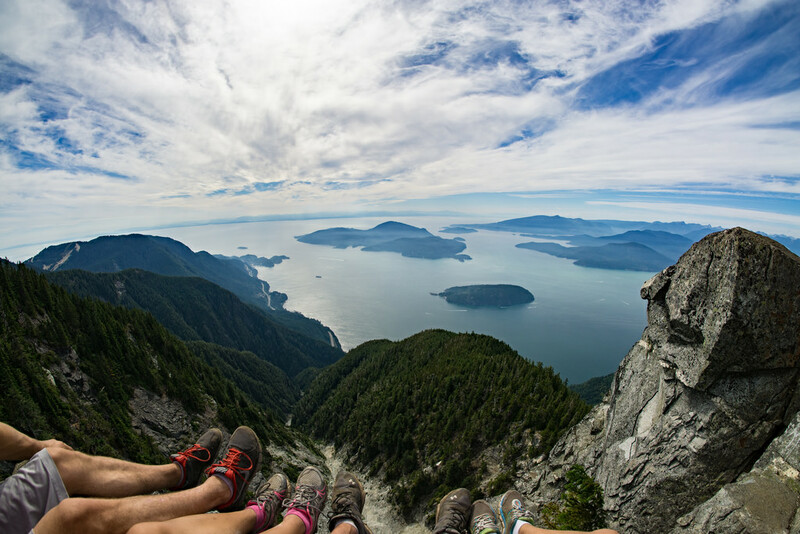 There are perhaps too many hiking choices, but popular options with locals include Quarry Rock in Deep Cove, and exploring the three North Shore mountains: Mount Seymour, Cypress Mountain, and Grouse Mountain. Although it’s known as nature’s Stairmaster, the best part about the Grouse Grind is enjoying the activities on top of Grouse Mountain at the finish line. Vancouver TheatreSports™ League is the city’s number one improv comedy company. They do 11 shows a week, 52 weeks a year, entertaining more than 60,000 people along the way. Join the crowd and have a laugh alongside your loved one. Regular adult tickets range from $15.75 to $24.25. However, on Sundays, they are discounted to $8.75 for the 7:30 pm show. Current shows include OK Tinder—Swipe Right Comedy, Oh Canada—The True North Strong and Funny, and #NoFilter—The LOL of TMI. A picnic may be an old-school date option, but it’s also one of the best. Head to Queen Elizabeth Park to watch the sunset over the city. Alternatively, Stanley Park has a lot of beautiful picnic spots and also has free movies after sunset on Tuesdays in July and August, which would perfectly complement your picnic. A third option is Rocky Point Park in Port Moody. Its ice cream store, Rocky Point Ice Cream, is one of the cheapest and best in the Greater Vancouver Area. Another date night favorite from past decades, you can enjoy board games at home or in one of Vancouver’s board game-friendly restaurants. Storm Crow Tavern is known as Vancouver’s original nerd bar, as it has an outstanding board game collection. The best part is that the food is reasonably priced, and they have weekly specials, so it’s still a cheap and fun date idea. Pizzeria Ludica is another option, as they have over 800 board games from which to choose! Being on the West Coast, Vancouver has some beautiful sunsets year-round. Fortunately, watching the sunset from one of the city’s beautiful beaches costs nothing. Combine this activity with the picnic option mentioned above for a perfect date night. 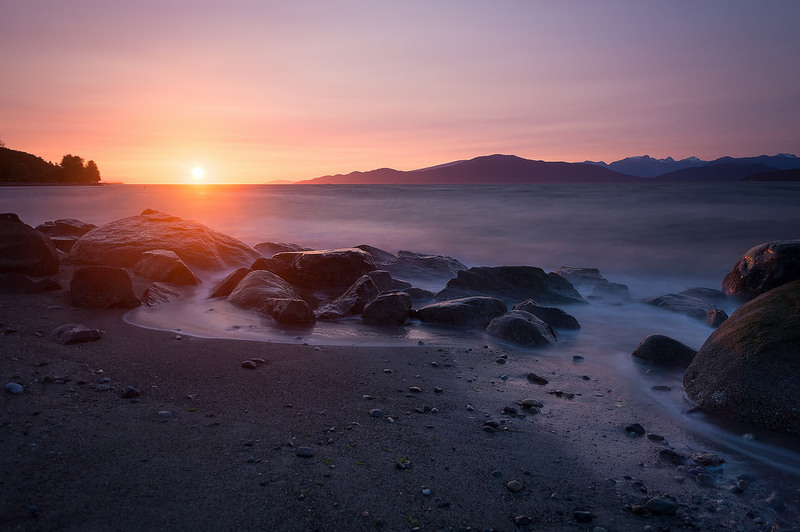 Wreck Beach is North America’s largest nudist beach, but it is also known for being an excellent sunset spot. There’s also the option of visiting the Stanley Park beaches, which are close to the downtown area, or Spanish Banks and Jericho Beach. Although going to a concert of a world-renowned musician will hurt the budget, there are many free and cheap live music performances happening across Vancouver every week. LiveVan is a great website, which lists many of the live music performances, including who, where, and how much it costs. There are also many pubs on Granville Street—and around Gastown—which feature live music weekly, such as the iconic The Roxy, which has been known for hosting the city’s best nights out for 27 years. 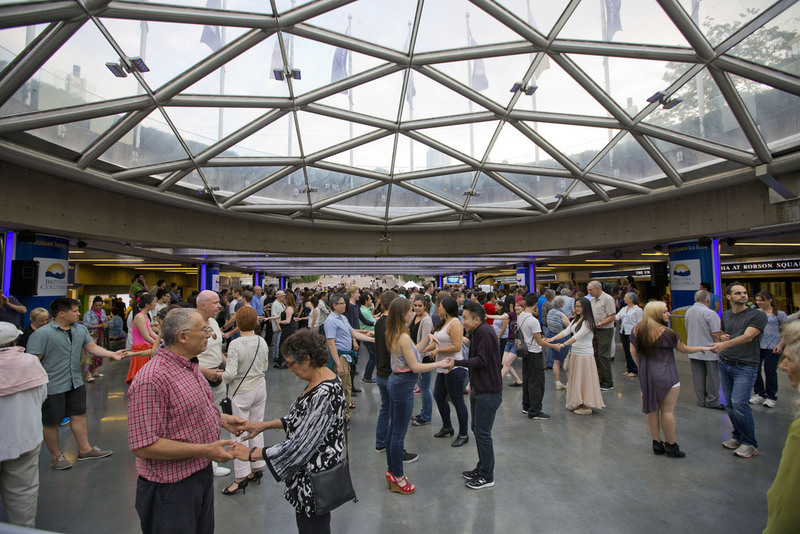 Since 2006, Sunday Afternoon Salsa has been happening annually in Robson Square during July and August. The event begins at 3 pm with free beginner salsa lessons, taught by some of Vancouver’s best instructors. At 5 pm, there is a dance show featuring performances by skilled local salsa dancers. Then there is another free dance lesson at 7 pm, followed by an after-party full of dancing until 9:30 pm. The after-party features a different music style every week, such as West Coast Swing—this is definitely a fun free date idea for couples that don’t have two left feet! The HR MacMillan Space Centre in Vancouver is “like no place on earth.” In the evening, it costs $13 for adults to experience both a Planetarium Star Theatre Show and the Gordon Southam Observatory. However, visiting only the Observatory is by donation. It’s open on Friday and Saturday nights from 8 pm to midnight. The Observatory features a half-meter Cassegrain telescope, which allows you to stargaze and observe the skies around Vancouver, alongside your date.